In 1957, when the USSR launched Sputnik I, the first man-made satellite to orbit Earth, America's rival in the Cold War claimed victory on a new frontier. The Space Race had begun, and the United States was losing. Closer to home, a decade of turbulence would soon have Americans reeling, with the year 1968 alone seeing the assassinations of Martin Luther King Jr. and Robert F. Kennedy as well as many violent clashes between police and protesters. Americans desperately needed something good to believe in, and NASA's mission to orbit Earth in Apollo 8 and test a lunar landing module was being planned for the end of the year. But with four months to go and the module behind schedule, the CIA discovered that the USSR was preparing to send its own mission around the moon — another crucial victory in the Space Race — and it was clearly time for a change of plan. 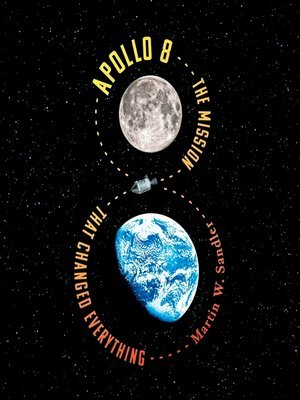 In a volume full of astonishing full-color photographs, including the iconic Earthrise photo, Martin W. Sandler unfolds an incredible chapter in U.S. history: Apollo 8 wouldn't just orbit Earth, it would take American astronauts to see the dark side of the moon.